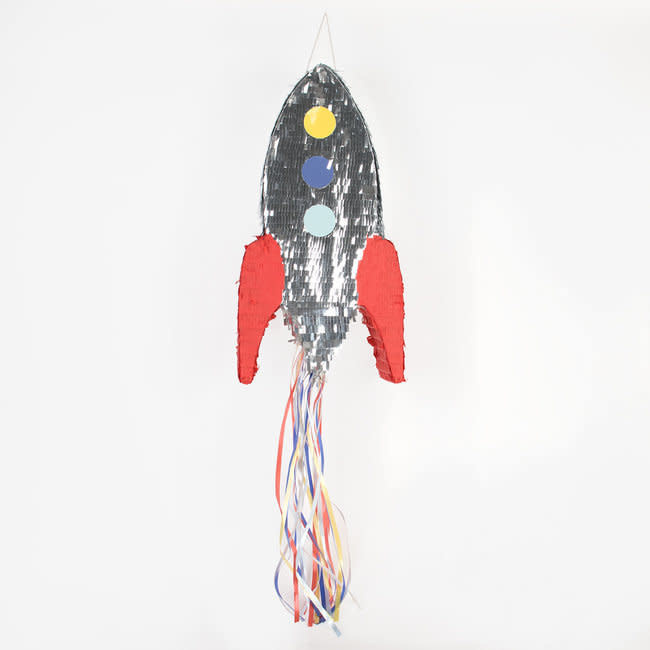 This rocket pinata is clearly made for a cosmic, space or a Neill Armstrong themed birthday party. They also work for a film night watching Interstellar, Gravity or Armageddon. Essentially, as soon as it's a matter of space, saving the world, pushing the limits and wearing the NASA uniform, this fits the mission ! 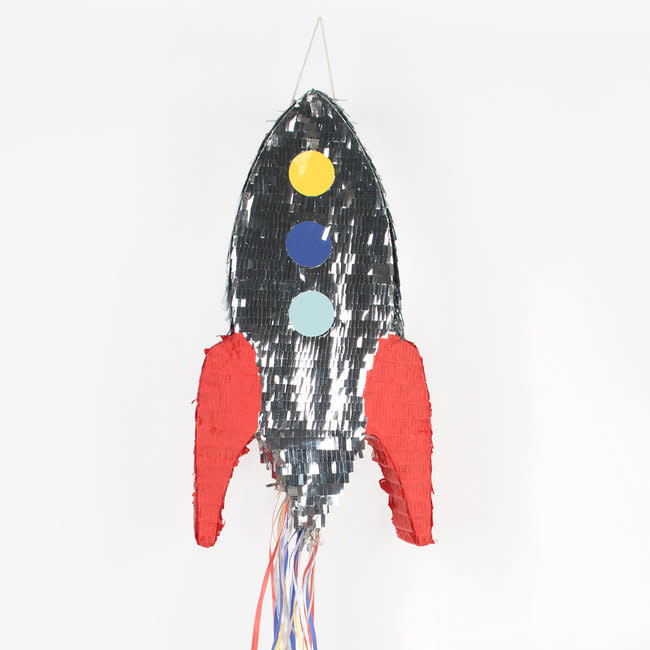 The pinata is a key element of a child's birthday ! 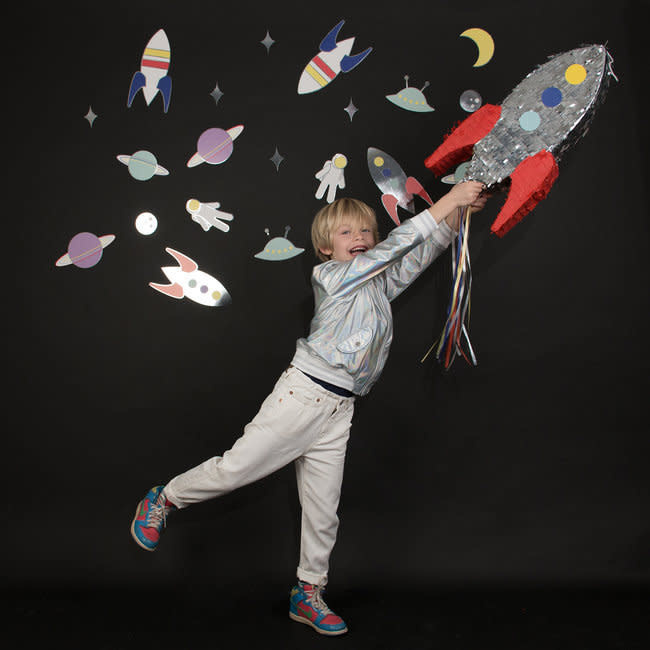 Not only is it fabulous decoration but it's the much awaited activity of a successful birthday party ! It works by pulling on the strings below to release the hidden surprises. Uncontrollable laughter guaranteed ! Attention : the pinata is empty. You must remove the small lid to fill it with games, treats and confetti.